Snakes can be scary, but remember not all snakes are venomous. 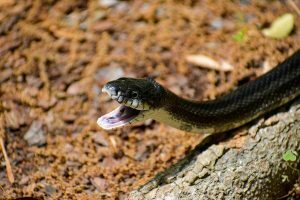 Snakes do like to inhabit areas such as attics, crawl spaces,open barns and sheds. Because of this it is important to be careful and let an experienced wildlife technician help you catch a snake that is becoming a nuisance.